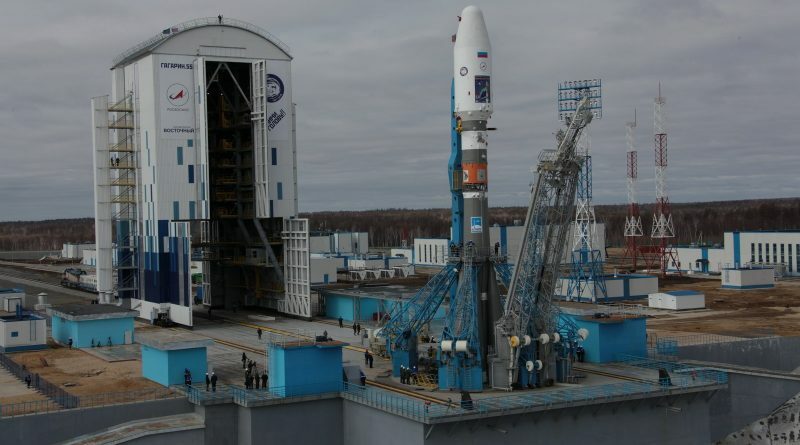 The inaugural Soyuz launch from Russia’s Vostochny Cosmodrome was delayed on Wednesday in a last-minute countdown abort due to a technical issue occurring during the automatic countdown sequence. Media reports issued immediately after the launch scrub noted safing of the rocket had begun and a new launch attempt could be made on Thursday. 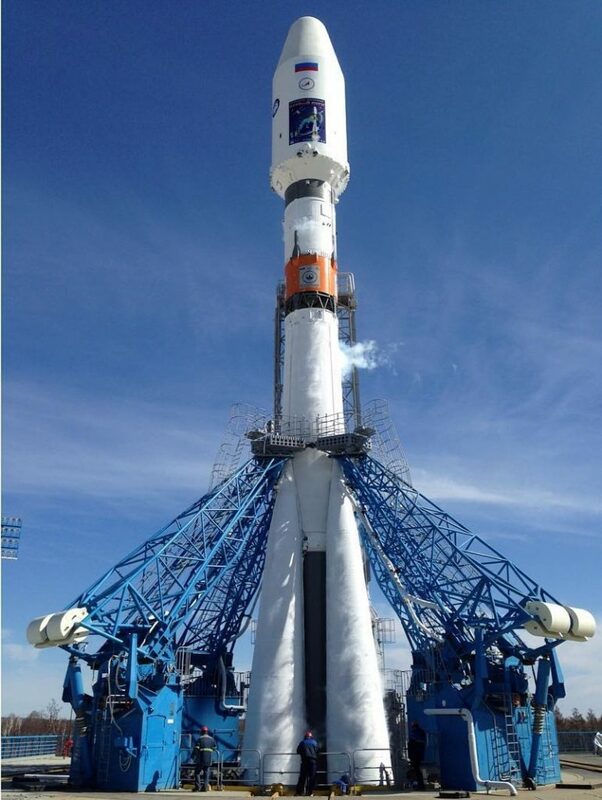 Roscosmos later confirmed the countdown abort and said the launch would be rescheduled to Thursday at 2:01 UTC. 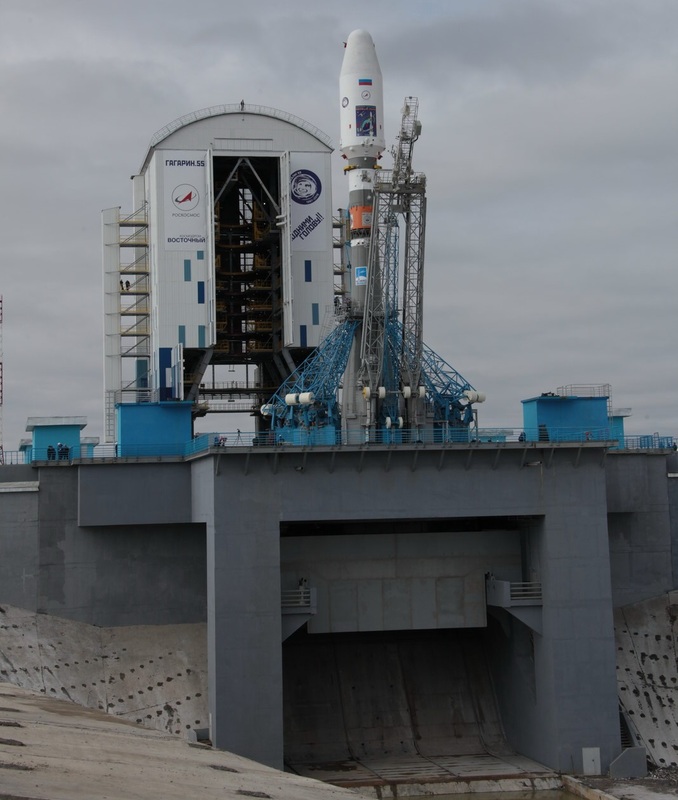 Soyuz 2-1A, set to deliver a trio of satellites to orbit, headed into a modified countdown in the evening hours on Tuesday after the Russian State Commission provided clearance for the 46-meter tall rocket to be loaded with propellants. 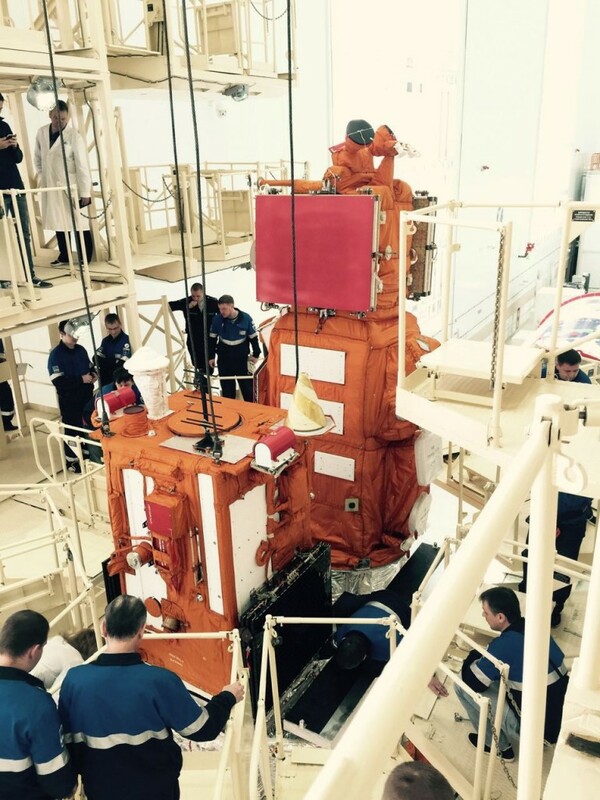 Tanking picked up at 18:30 UTC, around four hours earlier than for operational Soyuz missions to add a cushion in case of any issues arising during the fueling sequence – the first time the launch pad’s propellant handling systems were in action for an actual launch countdown. According to an update issued by Roscosmos at 23:36 UTC, propellant loading had been completed as planned and permission was given to press into the business end of the launch countdown. The Mobile Service Gantry retracted from the rocket and the launch complex was cleared in the last half hour of the countdown operation. The countdown transitioned to its critical automatic sequence at T-6 minutes to put the Soyuz launch vehicle through the final steps, placing it in an autonomous launch configuration. An abort was triggered 1.5 minutes prior to the planned liftoff due to an issue arising during the tank pressurization sequence. Roscosmos decided against providing a live launch broadcast from Vostochny after initially planning to deliver live coverage from one hour to T-0. Live video of high-profile space launches had been a sensitive matter since the inaugural launch of the Angara rocket in 2014 which had to be delayed while the world was watching – considered an embarrassment by Russia’s top officials. For a while, no live coverage was provided for any of Russia’s launches, but this restriction was soon lifted and regular broadcasts were available for all non-military launches of the past one and a half years. With Vladimir Putin attending the inaugural launch from Vostochny, the likely reasoning behind the lack of coverage was avoiding a repetition of the Angara scenario since issues during the first launch of a new vehicle or the debut mission from a new launch site are a possibility. A backup launch slot had been reserved for Thursday for the event of a one-day delay, however, the schedule for the next launch attempt still has to be determined once the issue that halted the countdown is fully understood. The three satellites to be delivered to orbit by Soyuz – amounting to a payload mass of one metric ton – will serve a multitude of functions from technical demonstrations to research in diverse areas of science. The Mikhailo Lomonosov satellite, also known as MVL-300, weighing in at 450 Kilograms, is based on a surplus satellite platform from the Kanopus Earth Observation program. It facilitates a 120-Kilogram payload comprised of seven instruments to conduct a simultaneous study of gamma-ray bursts by means of optical sensors and gamma-ray detectors as well as the study of transient phenomena in Earth’s atmosphere. The overall goal of the mission is to study extreme physical processes in the high-energy regime, occurring in the atmosphere, near-Earth space and the far reaches of the universe. For that, the spacecraft is outfitted with a range of sensors, capable of detecting high-energy radiation and particles. The 531-Kilogram AIST-2D satellite hosts eight different payloads to complete technology demonstrations, materials science experiments and test out new systems for Earth observation in the hyperspectral bands and novel radar frequencies. AIST-2D will collect imagery of Earth in the visible and infrared wavelength range with a ground resolution of to 1.5 meters. A new P-Band radar will be tested on this mission, capable of observing targets hidden by vegetation and subsurface features at a depth of several meters as well as collecting data on global geology and vegetation biomass. Other payloads installed on AIST-2D include a mass spectrometer to study spacecraft outgassing and atmospheric response to solar wind, a materials science experiment looking at the effect of the space environment on different samples, a space-to-space communications demonstration and a Microacceleration Control System. Riding alongside the two large satellites is a 3-Unit CubeSat, SamSat-218D, set for a demonstration of an aerodynamic stabilization system and a communications system using the Globalstar constellation to send commands and receive telemetry from lower orbiting spacecraft.